Mick and Bianca chose to wear his designs on their wedding day; he was on Elton John’s speed-dial, and was the go-to man for women who wanted to wear men’s tailoring. 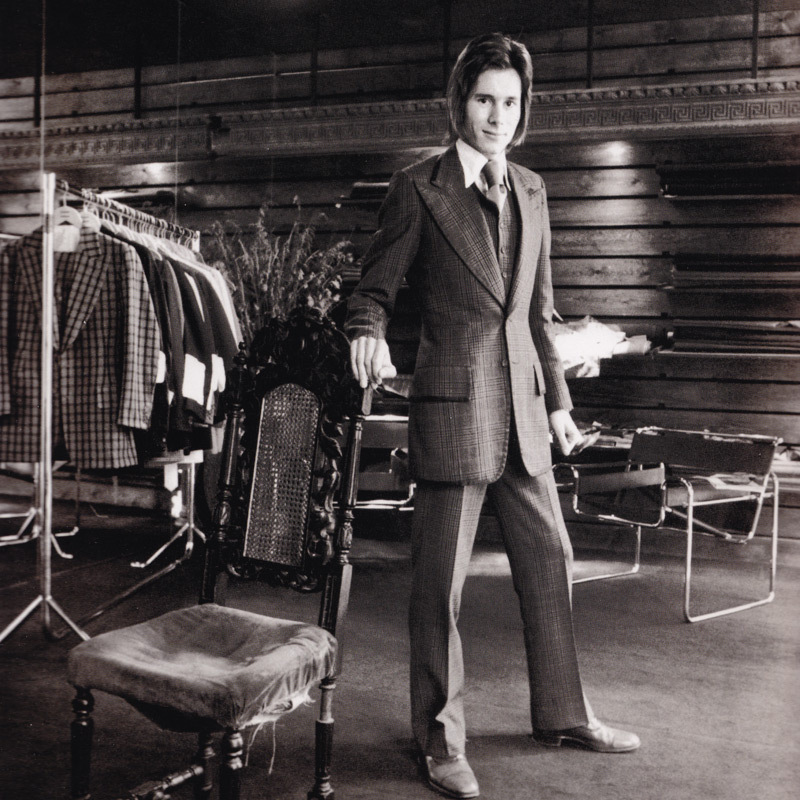 Now the work of Tommy Nutter, the first tailor to successfully combine Savile Row traditions with the cutting edge fashion of Swinging London, is being celebrated with a display at the Fashion and Textile Museum. His work was groundbreaking at the time and influenced the flamboyant rock and roll style that we associate with the 60’s and 70’s. Londonist has some great pictures of the exhibit as well. Tommy Nutter, from the giant Bespoke book.